Have you suffered an injury as a result of another person’s acts? Goldberg Weisman Cairo is proud to house some of the most experienced, passionate, and successful personal injury lawyers in the city of Chicago. We understand the stress, trauma, and often life altering implications suffered by victims and their loved ones. Our family of lawyers will work tirelessly to restore your life as best as possible after facing an injury of this kind. A personal injury does not have to be physical; it could also be psychological – both of which can have detrimental effects on your health and lifestyle. If you’ve suffered due to the negligence of another party, that party should be held accountable for their actions and the trouble they have caused you. We’ve spent over 30 years focusing on this area of practice which has allowed us to grow into the largest personal injury law firm in the state of Illinois. We’ve earned the reputation of aiding our clients in recovering maximum compensation – translating into over $2 billion in settlements and court victories. This is money that rightfully belongs to our clients. Although nothing can reverse what happens to our clients after they are involved in an accident, we are here to help you regain control. If you need help or are uncertain, please fill out our free case evaluation form below and we will provide our honest, professional opinion on what to do next. Goldberg Weisman Cairo is Chicago’s largest personal injury law firm, with a leading reputation of aiding our clients in recovering maximum compensation for their injuries. Our Chicago personal injury lawyers are skilled in the practice of personal injury law, with years of knowledge and experience. 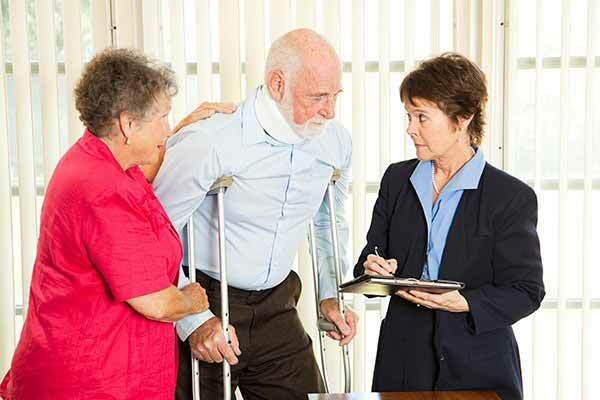 If you are in need of a Chicago personal injury lawyer, contact us today. Our attorneys will work aggressively to represent you in the matter of your personal injury. They will gather supporting information to uphold your claim, secure expert testimony, and ensure legal documents are filed with the court in a timely manner. Goldberg Weisman Cairo is committed to providing every client with dedicated legal representation, offering personalized attention as we guide you step-by-step through the legal process. Click here to get answers to frequently asked questions related to personal injury law. Unfortunately, personal injury victims know all too well the problems that result when negligence occurs. You may have been left with expenses related to your accident and medical bills which are seemingly endless. Your injury may have forced you to take time off of work, further complicating your personal situation. You may be entitled to receive compensation for your personal injury. Our team of legal professionals may be able to help you recover damages for medical expenses, lost wages, and pain and suffering. If you have been made a victim by someone else’s negligence, don’t delay in seeking the compensation owed to you. Fill out a Free Case Evaluation form or call 1-312-464-1234 to get started.